HIM tem uma uma longa e orgulhosa tradição como uma das mais requintadas escolas de Gestão Hoteleira da Suiça. As suas acreditações e afiliações, em conjunto com uma excelente ligação com a industria hoteleira, asseguram que as suas qualificações sejam reconhecidas em todo o mundo. Os cursos são uma combinação da qualidade dos cursos de hotelaria da Suíça com a funcionalidade dos sistemas de gestão dos Estados Unidos. MIB - Hospitality Business Management with secialization in Finance, Marketing and Human Resources. Montreux fica na Riviera Suíça, nas margens do Lago Genebra. é uma cidade turística com um famoso festival anual de jazz. Todas as escolas do HIM estão localizadas no centro da cidade. O HIM está localizado em quatro antigos hotéis: Hotel Europe, Hotel Miramonte, Hotel Jura e Residence Rosemont. 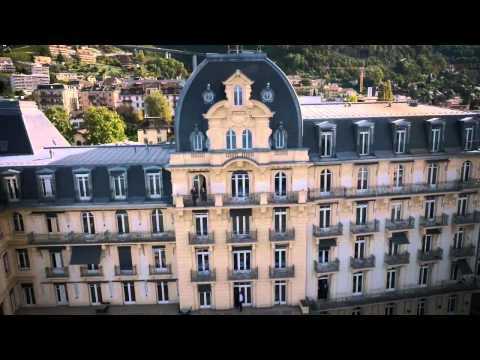 "Hotel Institute Montreux made me a stronger person and prepared me for real life experiences. I chose to study hospitality management because it's one of the few industries that allows you to see the world during and after your studies and meet amazing people along the way. 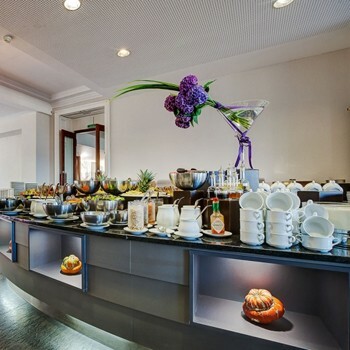 Hospitality offers a wide range of opportunities when it comes to work location as well as career path. 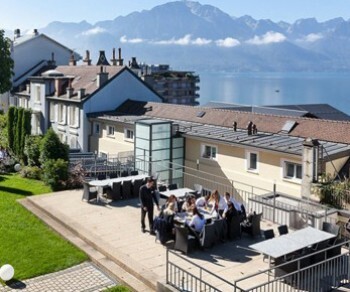 Hotel Institute Montreux and the Swiss Education Group provided me with a solid academic programme as well as a chance to have two internships which made me a stronger person and prepared me for real life experiences. The school's internship office offered me a first opportunity in Dubai back in 2010. If it weren't for the team in the internship office, I wouldn't have discovered this vibrant city with endless opportunities for my career. Dubai was where I had the great opportunity to be part of the opening team for a few Starwood hotels as a Corporate Sales Manager, early in my career. In my current role as Recruitment Specialist, I work closely with major international banks and financial institutions and source them with finance professionals according to their business needs. I get to meet with people from different backgrounds and seniority levels and get to know their life experiences and perhaps help them take a new turn in their careers. One advice I would give future and current hospitality management students is to get ready for hard work, adventures and fun. To me, the important thing throughout my career is to stick with my professional philosophy: passion, consistency and honesty."